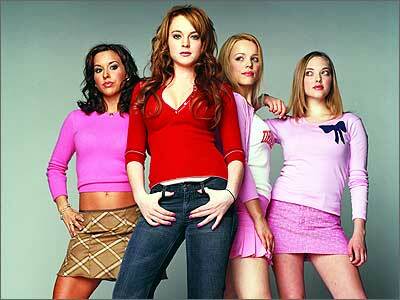 Who was the “mean girl” in your high school? Do you remember the girl who ruled the hallways and mastered the art of bullying and making your life hell? This kind of girl, or rather usually pack of girls, is pretty much a high school staple, explaining why the blockbuster movie, “Mean Girls” from a few years ago resonated with so many girls around the world. The primary target of a mean girl? Other girls. Unfortunately, how girls are encouraged from a very young age to pick on each other, and more specifically to pick apart one another, is not something they learn to leave behind in the hallways of their high schools as they become women. It is something that follows us, and something I hate to admit, that women bring with them into their offices, boardrooms, and apparently political campaign strategy rooms. What is it about women that when we want to bring each other down, we do so by attacking each other’s appearance? It is almost as though we have become so conditioned to being objectified by society, we now objectify ourselves. 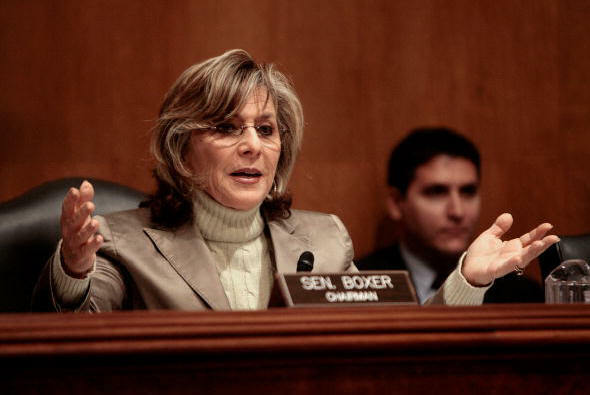 No need to bring up how qualified three-time Senator Boxer is, or that she is the only woman on the US Senate Foreign Relations Committee. No, we need to make this conversation about her hair? Fiorina, the former CEO of Hewlitt-Packard, really should know better. Much better. And as far as hair goes, as someone who has battled cancer and lost her hair as a result of treatment, all this just makes Fiorina’s comments even worse. What saddens me about this situation more than anything is how men don’t do this. They do not attack each other on a personal level and make it about their hair or appearance. Men are really strategic about attacking their opponents. Women will almost always make it personal, as we can clearly see in the Fiorina-Boxer case. Last week at the Women Deliver conference in Washington, I attended a session on “Women and Power” hosted by one of my idols, Arianna Huffington. The panel included Valerie Jarrett, Fmr. Chilean President, Michele Bachelet, Fmr. New Zealand Prime Minister, Helen Clark, and Actress Ashley Judd, women who definitely know a thing or two about getting power and more importantly, keeping it. The one message that really stayed with me after the session was over was Huffington’s point on how building alliances is one of the key aspects of accessing power. She stated that men are excellent at building alliances with one another, but women aren’t. She said that the sad truth of the matter was that women rarely build partnerships with each other. Of course there are thousands of reasons as to why women act this way (hello, social conditioning! ), and I think our culture actively encourages women to be catty with each other. But I also believe the time has come to move on because women are holding themselves and each other back. Women will continue to take two steps forward and three steps back until they drop the sorority girl act and become the stateswomen and leaders that we need. Thank you so much for reading supporting my work!